Pretty soon you’re going to read a magazine telling you about the new season trends. Yep, right in the middle of a heatwave, you’re expected to start thinking about what you’re going to be wearing in autumn. 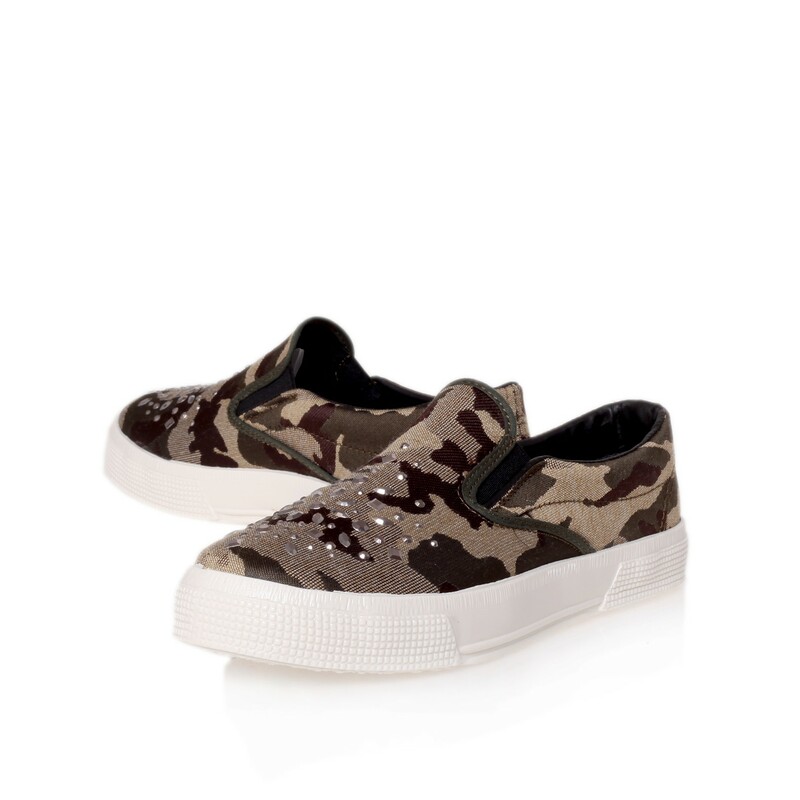 One of the biggest of those trends will be camouflage print. This is my favourite trend to talk about right now, as it translates so well to the summer months. 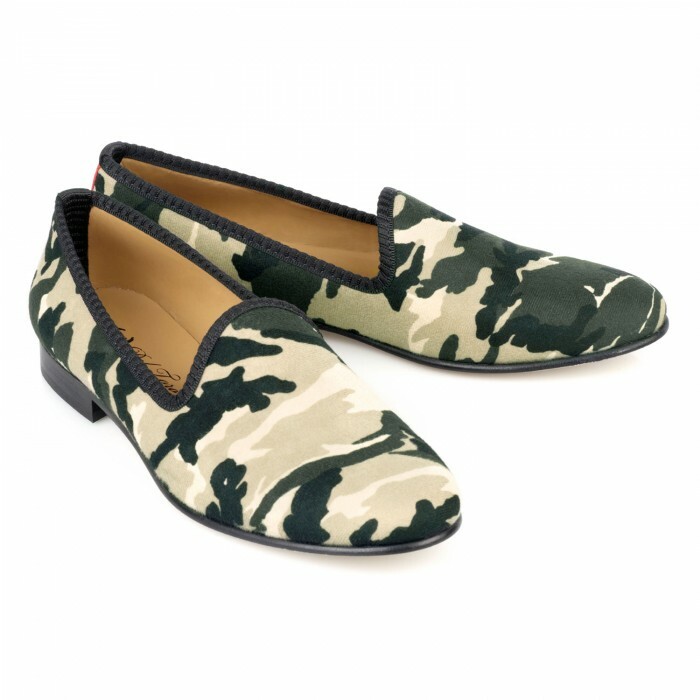 Another reason I want to talk to you about it right now because there are so many brilliant camouflage print shoes available at the moment. 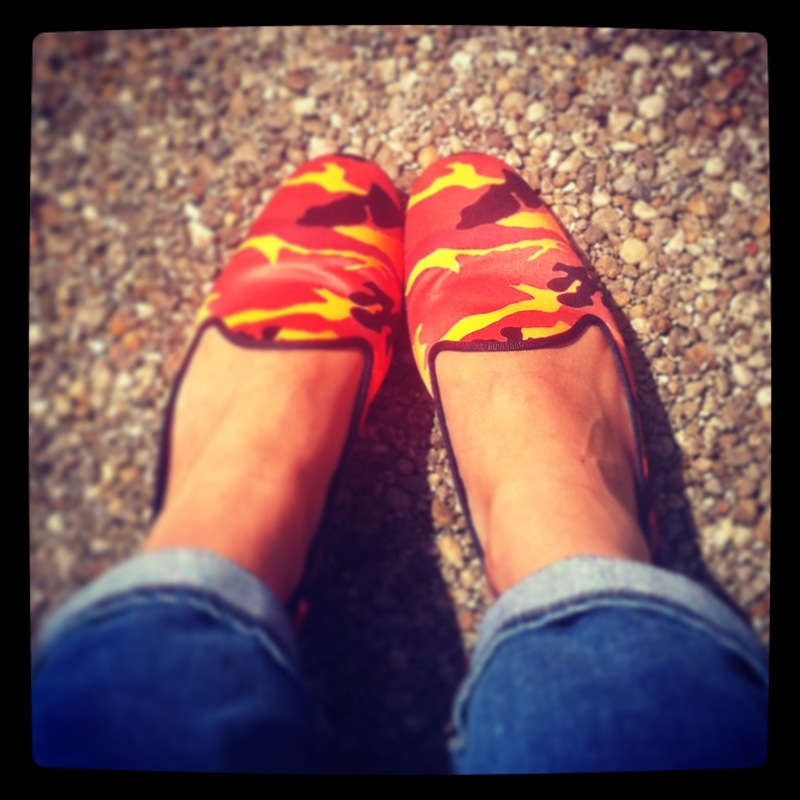 I’m going to start with the latest addition to my wardrobe – these fab Pretty Loafers in neon camo. 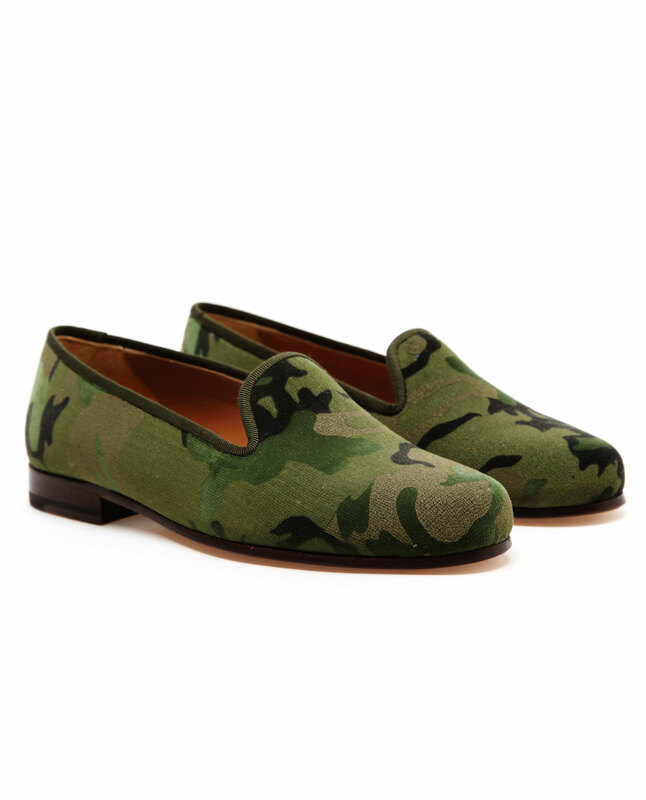 I’ve been a fan of Pretty Ballerinas for years (I still mourn my leopard print pair that I wore, literally, to death) but this season sees the launch of Pretty Loafers. Same concept, same company, different shaped shoe. I much prefer the slipper style of Pretty Loafers; it fits better with my tomboy aesthetic. 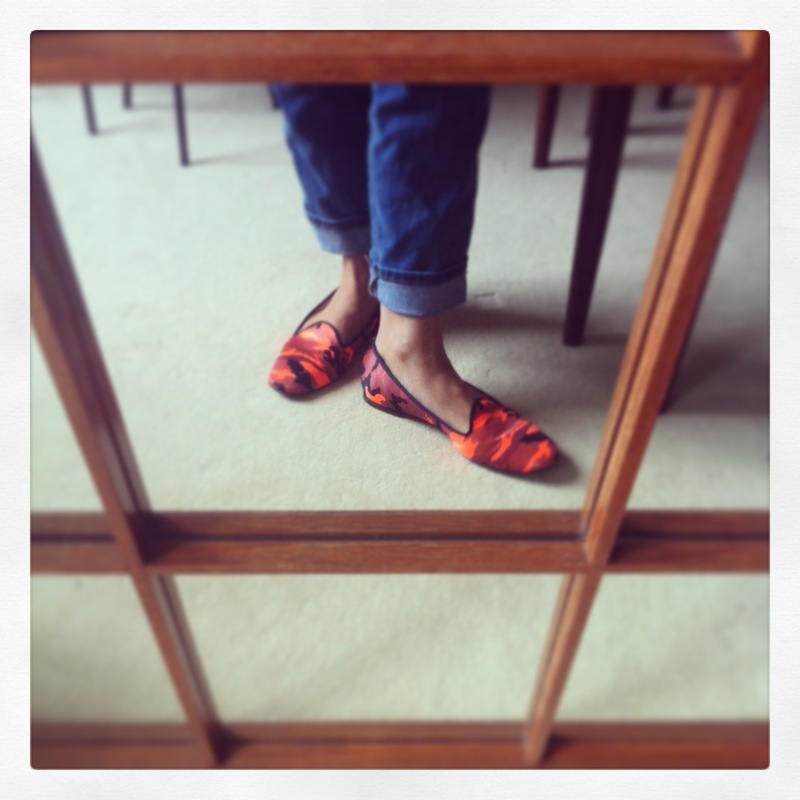 If these neon ones are a bit way out for you, check the website for myriad alternatives, including simple black tassel loafers and, of course, a healthy choice of animal print. There are even a few lace-up brogues thrown in for good measure. And I can confirm that they are every bit as comfortable as your trusty Pretty Ballerinas. 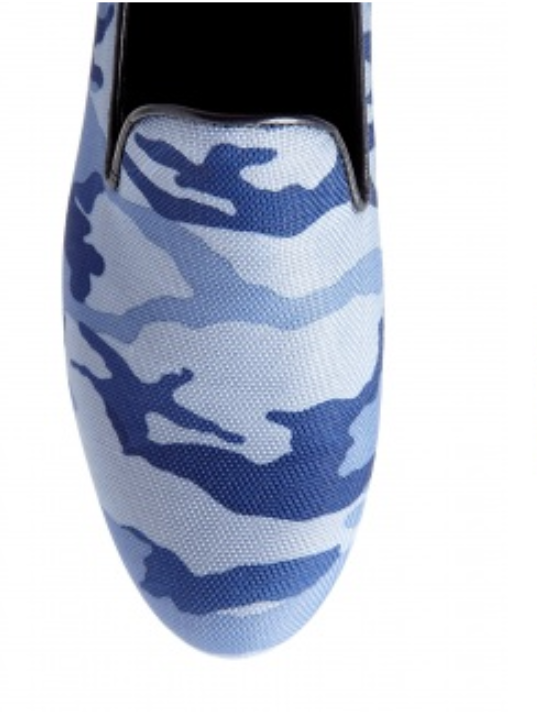 This print seems to lend itself particularly well to slipper and loafer styles as you can see from all these other pairs that I’ve found, but it also looks great in a skater shoe or sneaker. And if that’s your preference, your luck is in as most of these are now on sale. 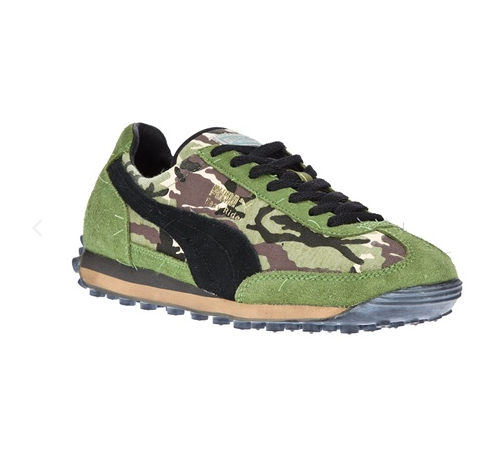 So if you want to buy into next season now, take inspiration from the army and invest in some camouflage. it’s my Pretty Loafers again! Even in neon?! Don’t worry, Mr Brogue isn’t sure either! I love them though. Especially my ones!